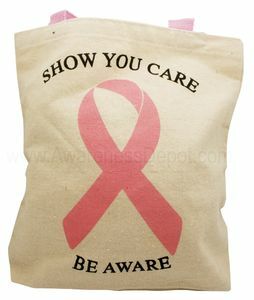 Show You Care, Be Aware! This small canvas tote is Ideal for lunch or snacks or carrying your library books. Makes great bag for give away packages - fill with several items or one of our gift packages and you've got a great auction item as well!